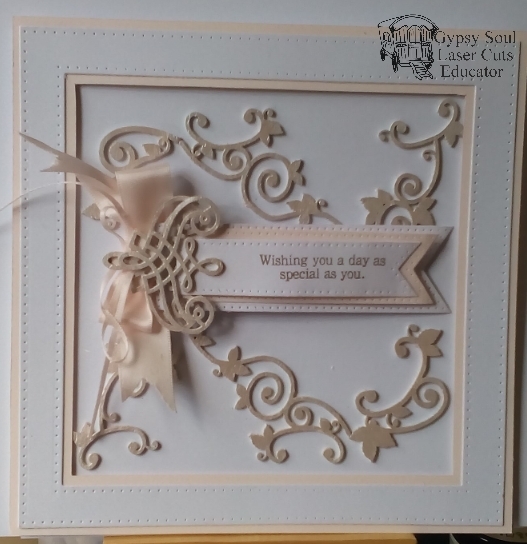 Hi everyone, Heather here today with a little birthday card that I am sure you will find very easy to make. I made this for my daughter in law in New Zealand and I know that she will like it because it is a simple, uncomplicated card. 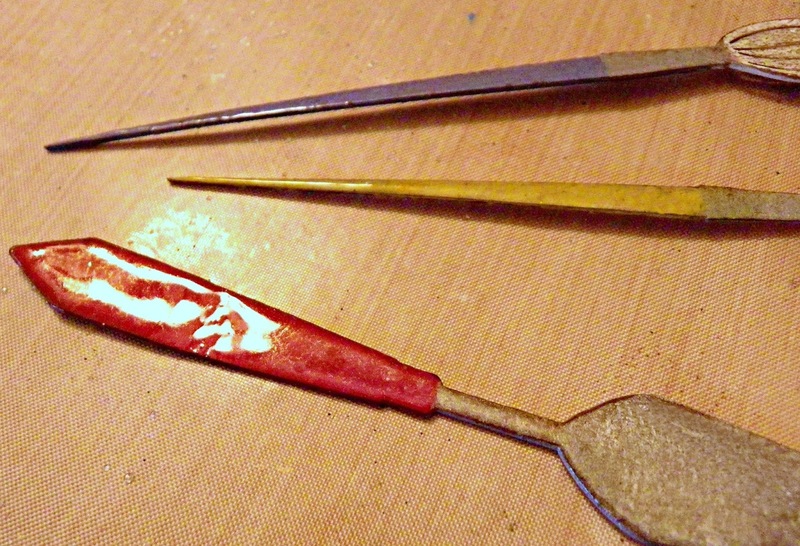 So I am hoping that you will want to have a go yourself. First of all I chose which pieces I wanted to use and just because it says "corners" on the description on the site that doesn't mean that they have to be used as corners.Here are the Leafy corners and the victorian corners. 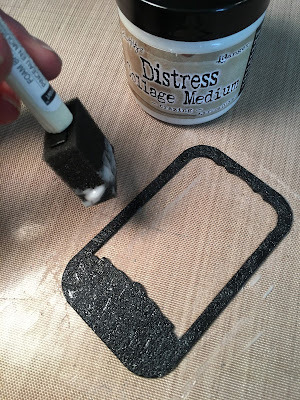 I have treated them with white gesso on both sides, I gesso the pieces on both sides when they are as small as these because it covers the piece better and you tend not to get any brown showing through. 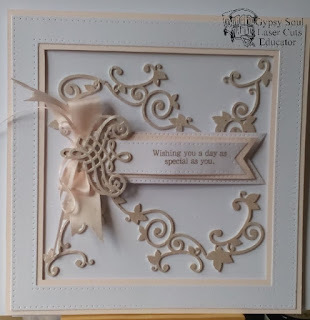 After the gesso had dried I went over everything with Creative expressions gilding polish, I used blossom as it was the nearest to the blush foundation card also by creative expressions that I used to make the frame around the card. 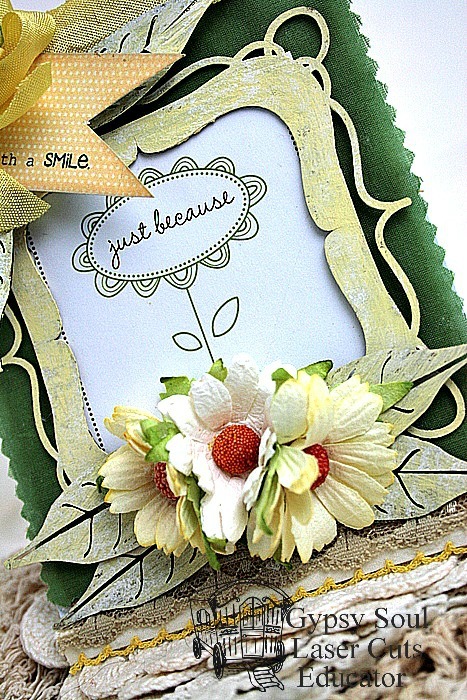 I cut the ends off the leafy corners so that I could place them on the card without actually making a definite frame. 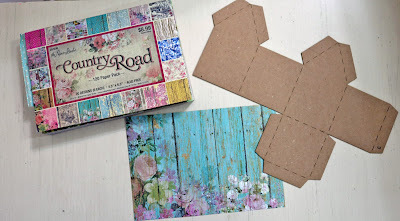 As you can see from the first picture I just made a pattern for the base, then cut two frames from white and blush creative expressions foundation card, the blush one underneath and white one on top leaving a small border on both inside and outside. 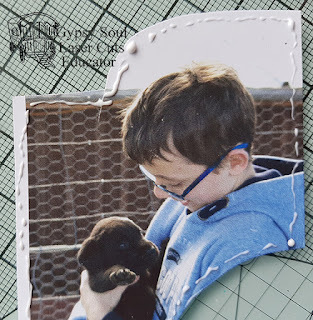 Of course I could have used one of the fantastic frames already cut on the GSLCuts site. It is entirely up to you which way you do this.I always tend to think of something else that I could have done when I have finished something, but maybe I will do that next time. 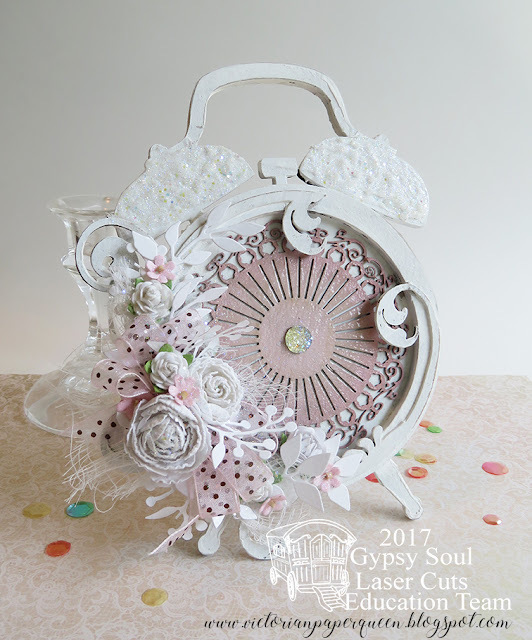 I cut all three components from Sue Wilson pierced flags die with White on the bottom, blush in the middle and white on the top, also I stamped the top flag with my sentiment. Before I glued these together I glued one of the victorian corners to the largest flag, I thenglued the smallest flag to the middle one and glued another victorian corner to the top. 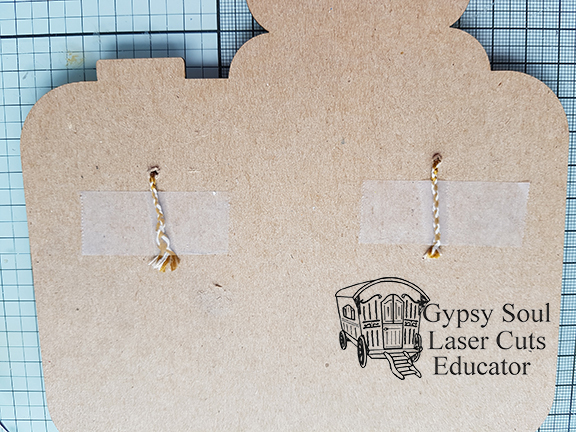 Before sticking all this together I made two bows, one in 1/2 inch ribbon and one in very narrow ribbon. I glued the bows to the bottom victorian corner, then glued the other corner combination on top of the ribbons. I used a glue gun for this because I find that it sticks much stronger and stays in place. 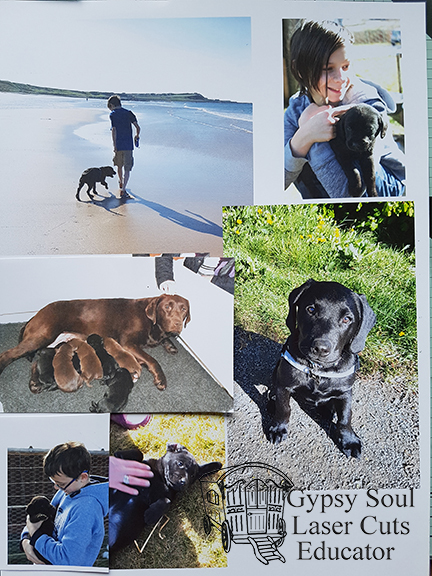 Hi everyone, its Angela here and today I am sharing with you my camera frame with some pictures of the newest addition to our family. 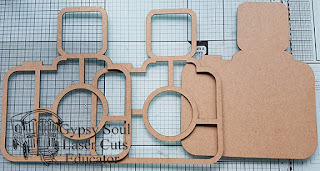 I took the Mini display tray shaped like a camera, as you can see it comes in three layers. 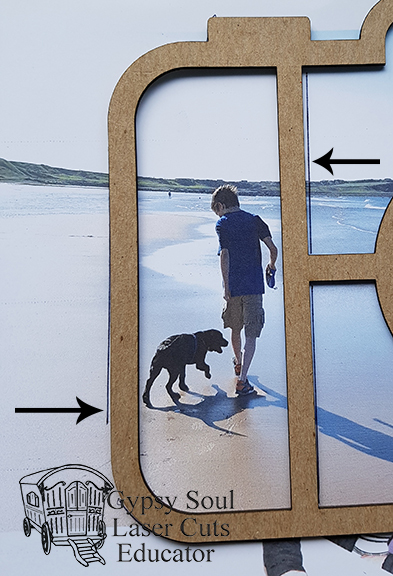 I then took the top layer of the camera and placed it on my pictures to draw around the outside of the relevant section (note the arrows), this is important as you need the extra in order to glue the picture to the frame and not have any unwanted gaps. 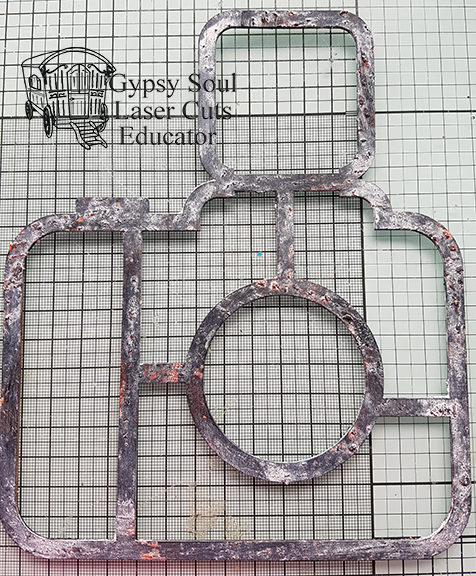 I then painted the top layer with Deco Art Paynes Grey fluid acrylic paint, added some blobs of texture paste and a coat of Quinacridone Gold and another coat of Paynes Grey. Whilst the last coat was still wet I sprinkled on some salt. 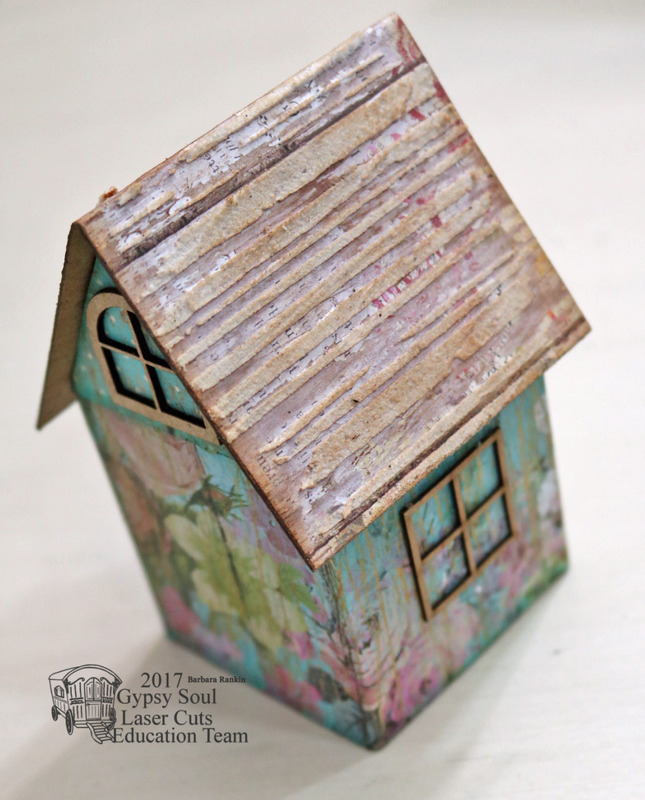 The salt soaks up the wet paint in places and gives the whole thing a mottled look. 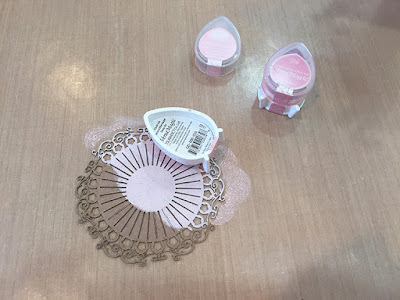 Once dry the salt is brushed off. 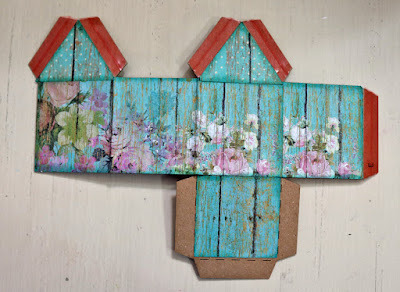 The whole thing was given a coat of Mod Podge to seal it. I put 2 holes in the back layer (1" down and 1 3/4" in) threaded some bakers twine through and put some tape over it to keep it in place. I also took one of the words from the Words and Phrases 1 and painted it with Paynes Gray, with salt then Quinacridone Gold. 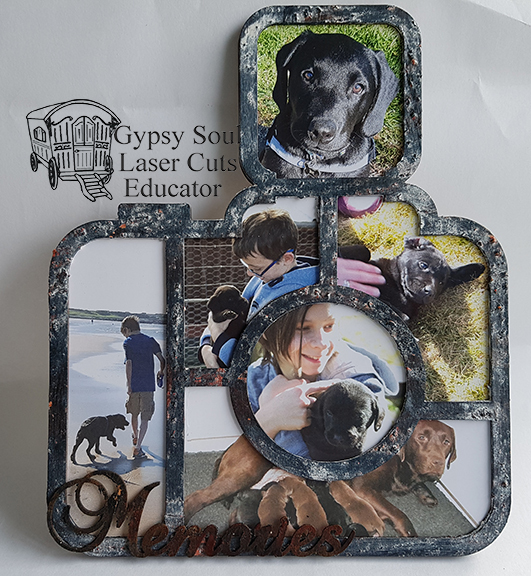 Hi Gypsy Soul Laser Cuts peeps. Cherry Here today. How's your Summer going? 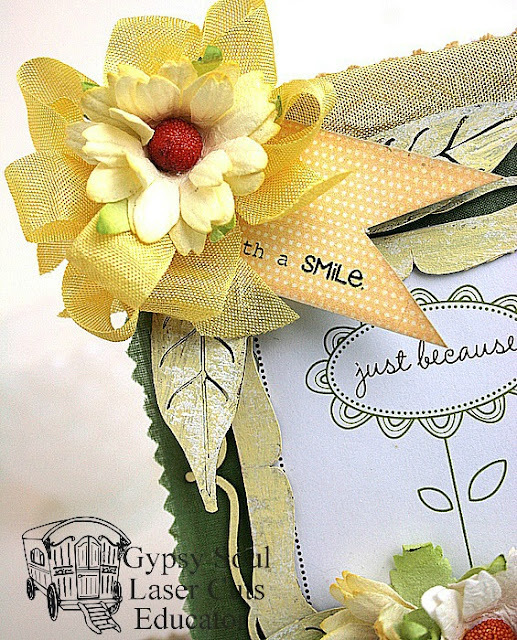 I have a cute sunshiney yellow card to share. Hi folks! I'm here with another of my 'Skelly Tin' series. I think the Altoids Inserts Fairy Tale Frames is just about the best invention ever! Let me show you what the next frame inspired me to create. 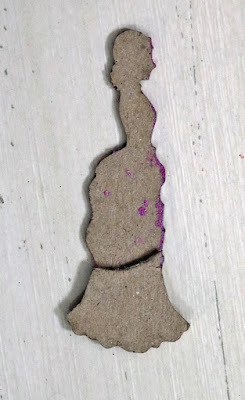 I made the tin with most of the same steps as this 'Creepy' one. You might remember I struggled a little using a new-to-me medium on the frame itself, so I tried something different with today's project. 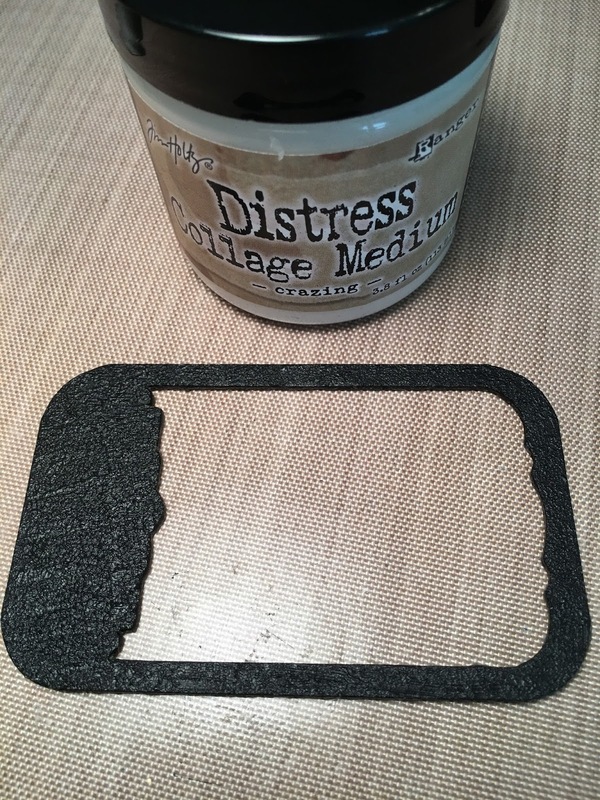 Instead of painting the Ranger crazing medium, I cut off the used tip of a foam brush (that had dried too much to wash and reuse). I dipped it in the medium and used it as a stipple brush on the gesso-painted frame. 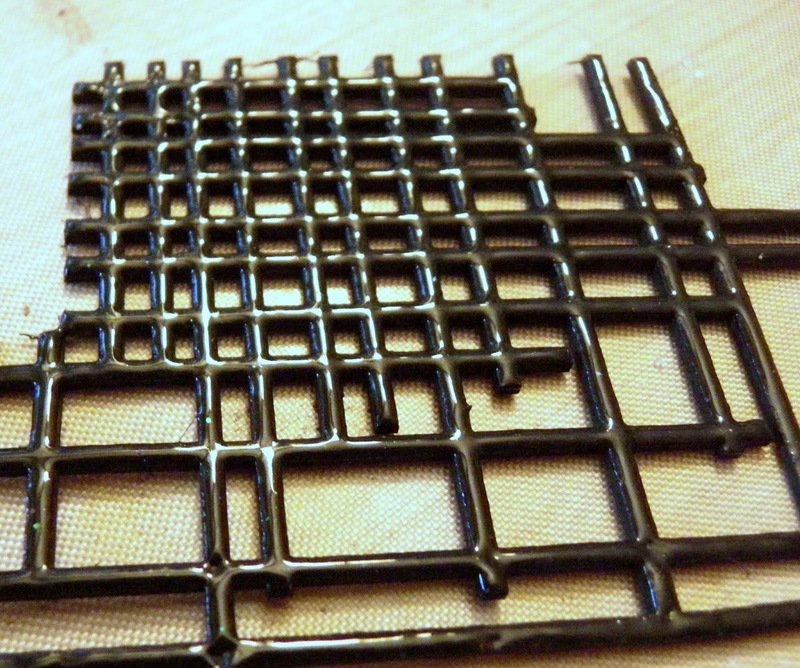 It worked perfectly, creating texture and a slight sheen. No additional steps needed! You can see the direction of the sponge (I held it perpendicular to the frame) so I will vary how I stipple next time. The frame handled the thick wet medium like a champ. 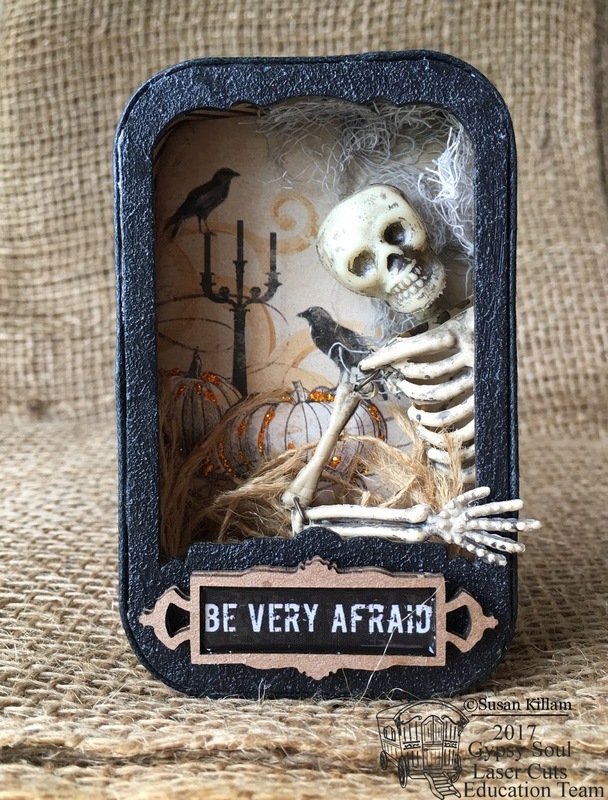 Here is the Skelly Tin series so far. Hello friends-as a lover of all things artsy, this quote spoke to my gypsy soul, and I hope it does to yours as well! Sometimes I enjoy using a meaningful quote on a page (I usually find them on Facebook) rather than a photo just for a change of pace. 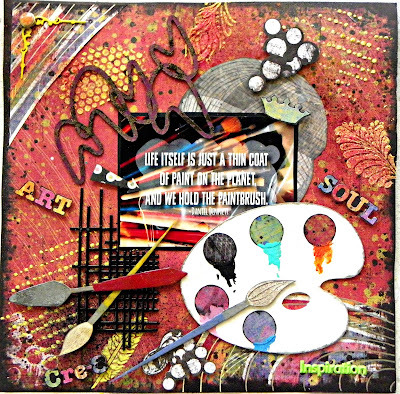 I have had this fabulous Colorbox "Teen Angst" paper for ages and still love the funky, eclectic feel of it; the Mixed Media Fragments complemented the paper perfectly and the Palette and Brushes was just right for the theme of the quote. After rubbing the surface of the palette with a pearlized ink, I punched 1" circles of various colours from my papers, then added paint drips with coordinating acrylic paints. I lightly inked the edges of the palette for dimension. 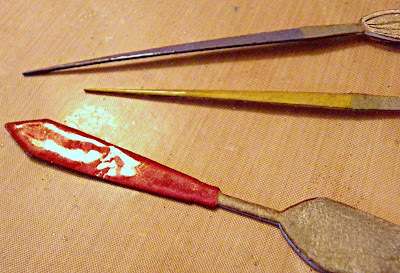 The paintbrush handles and palette knife were heat-embossed with UTEE for a glossy look. 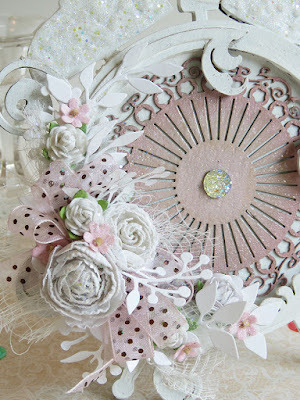 Because the papers are so vibrant, I wanted my embellishments to stand out sufficiently. This Fragment was painted black, then heat-embossed with UTEE also-I love the glossy finish! This Fragment from the Retro set was stamped with Versamark ink with this Prima stamp, then heat-embossed with Lindy's Stamp Gang Midnight Gold embossing powder. I added some stenciling with homemade texture paste, a few metal embellishments and a little fussy-cutting, then finished the page off with a few sprays of orange and yellow mists. I hope you enjoyed seeing my project, and I'd love to see something you create that incorporates a quote....that is your challenge, should you choose to accept it!! Have a super week, and thanks so much for stopping by. 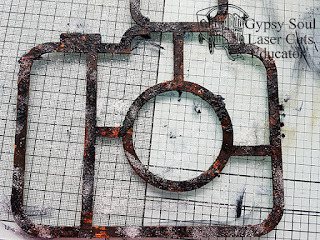 Hi and welcome to our Gypsy Soul Laser cut blog today... 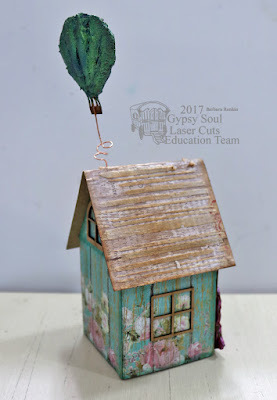 I hope that you are having a wonderful week now that summer is officially here and it's time to get out all those crafty supplies and have some fun. 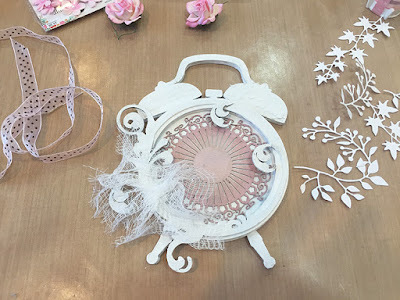 Today I am sharing a pretty piece of decor thatIi made to put up in my victorian inspired craft room using a few of the "Alarm Clock" chipboard pieces as my base and lots of other goodies from the store. My crafty room is very special to me and its the only room in my house that really shows the victorian side of me so every once in a while I find something really pretty and have to make up a new piece to put up in my room. 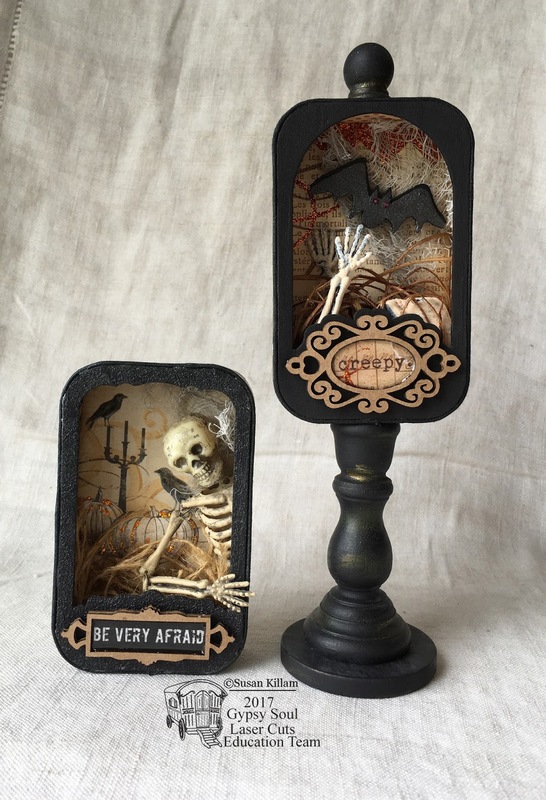 And this project was really fun to make and will fit in perfectly. 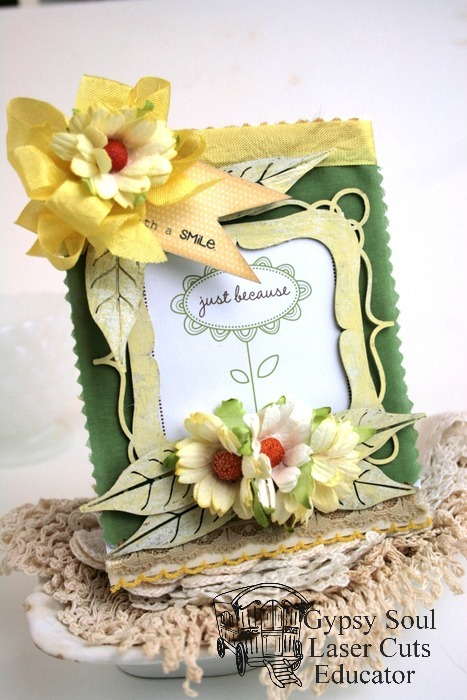 To make it I layered lots and lots of chipboard pieces and added this beautiful spray of flowers and ribbon. And of course lots of glitter to make it sparkle. Below is a quick tutorial on how I did it so please join me. 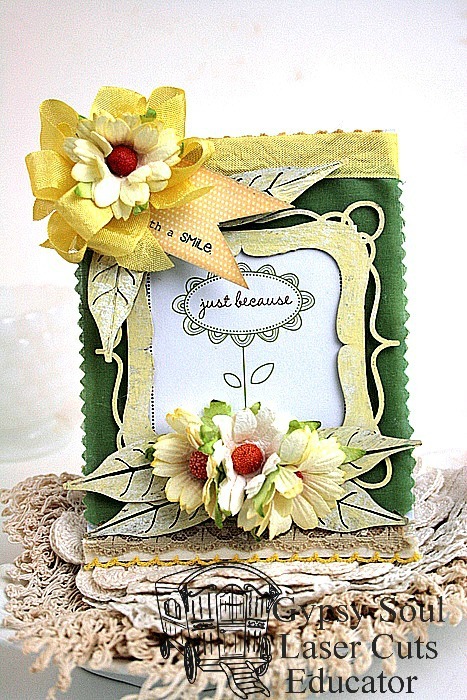 WhenIi start a project I always like to gather up lots of goodies from my stash that I think might work really good and keep them close at hand. Not everything will work but at least the creative part of my brain can be inspired andI don't have to go searching around for much. 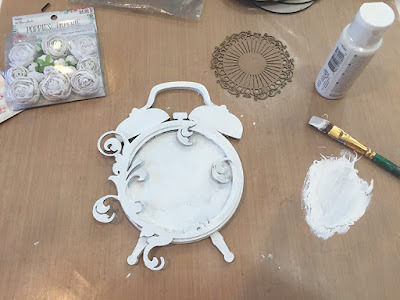 So... First I layered up the clock frames and the flourish and glued them together and let it dry really good before I painted it. 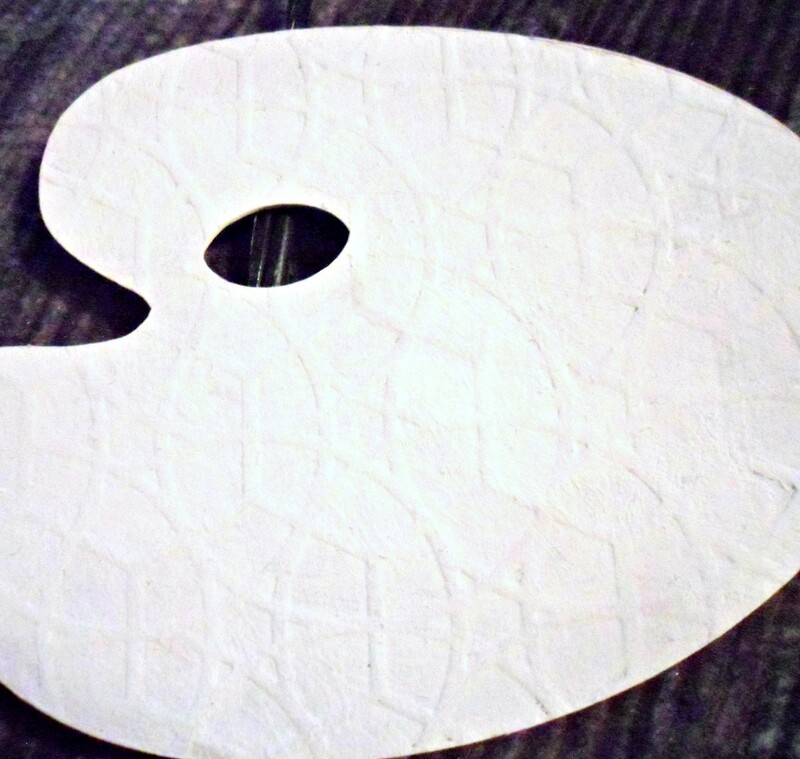 Then I used chalky paint in white and covered all the pieces with a good coat of paint and also did the back when it dried. 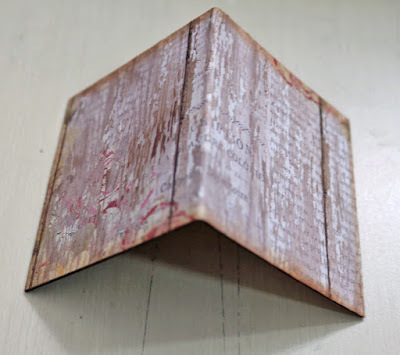 I sanded it just a little on the edges to make it more worn looking. For the new "Swirl Medallion" I wanted to make it stand out so I chose 2 soft colors of pink to ink it. The lighter I did on the whole medallion and the darker i shaded around the edges. 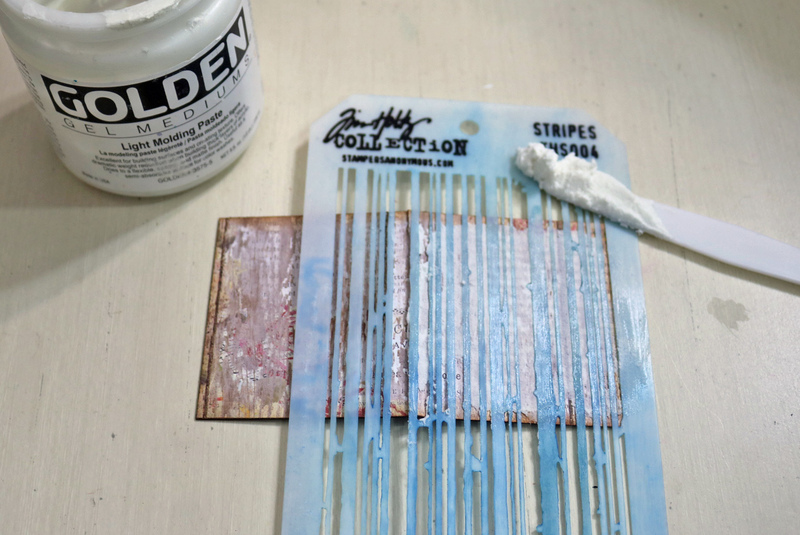 Then I sprinkled it with clear embossing powder and heat set it to make it glisten. I glued this in the center of the clock. I hope you like my new project and don't forget to stop by and see all the other projects we have to share and our Facebook page and Pinterest too. 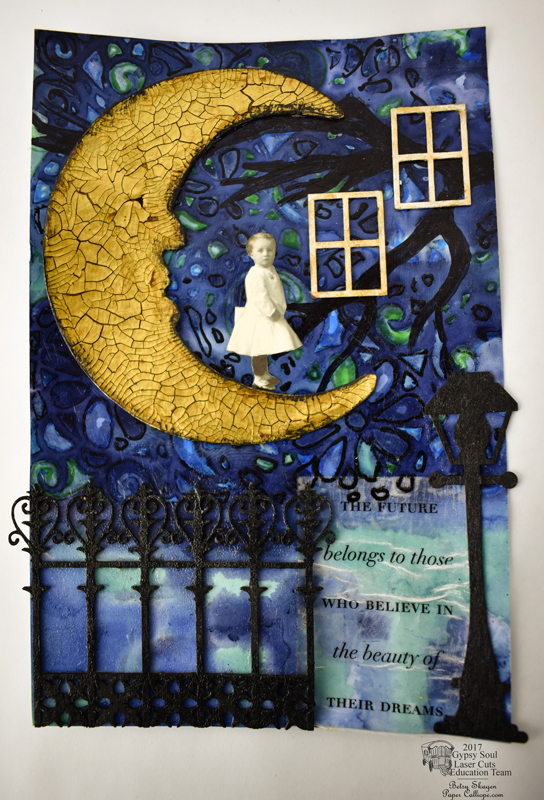 Eleanor Roosevelt's statement, "The future belongs to those who believe in the beauty of their dreams," is so powerful in my life right now that it inspired me to make this mixed media piece. 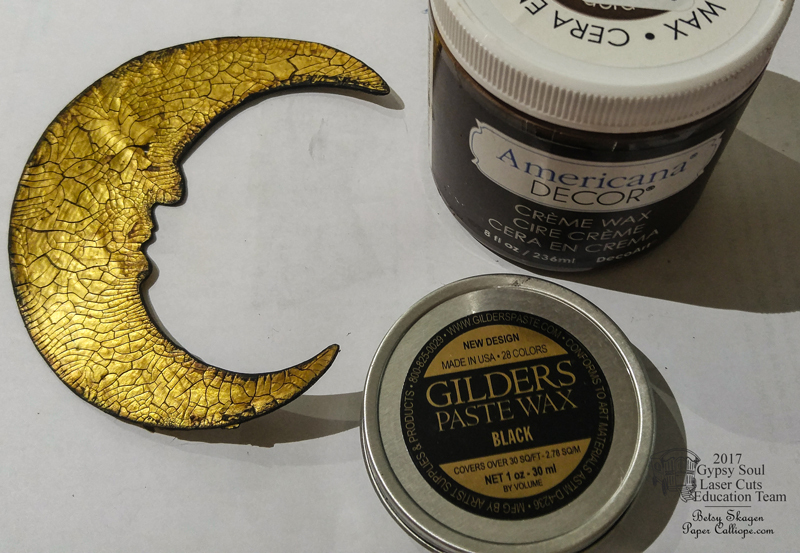 I began this piece by painting the Celestial Shape Set moon gold. However, I found it flat and boring. 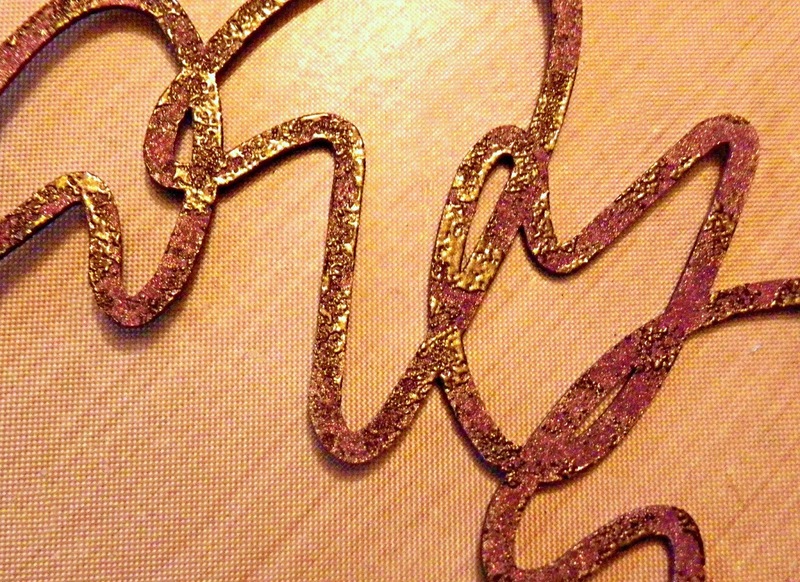 So I covered it with gold crackle paste and let it dry overnight. Next I rubbed brown cream wax into the surface, wiping off the excess. 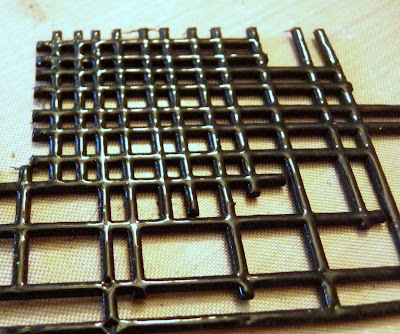 Then I applied black Gilders paste wax to the edges. My moon was looking so much better than when I first painted him. 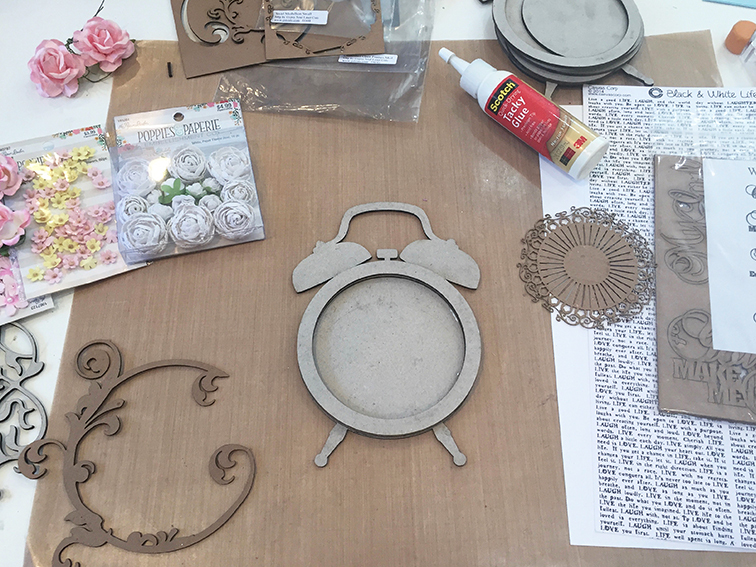 The next step in this process was to prepare the other chipboard pieces. One thing I have learned over the years is that ink is the easiest way to color chipboard black. 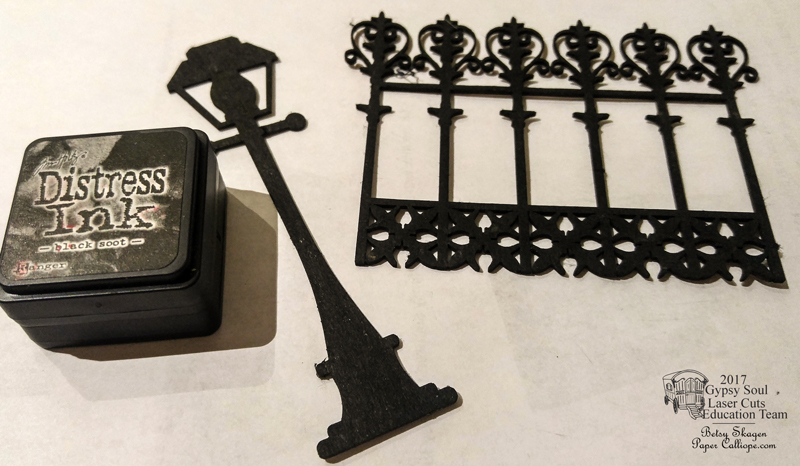 I applied black ink to both the Street Lamp and the Mini Fence and Gate. 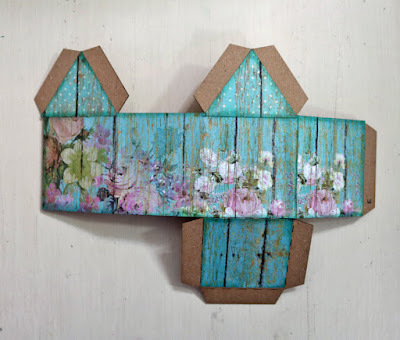 What's nice about this is there is no drying time and no paint globs to hide the detailed intricacies of the chipboard. I also gave the Windows a coat ivory of ivory paint. 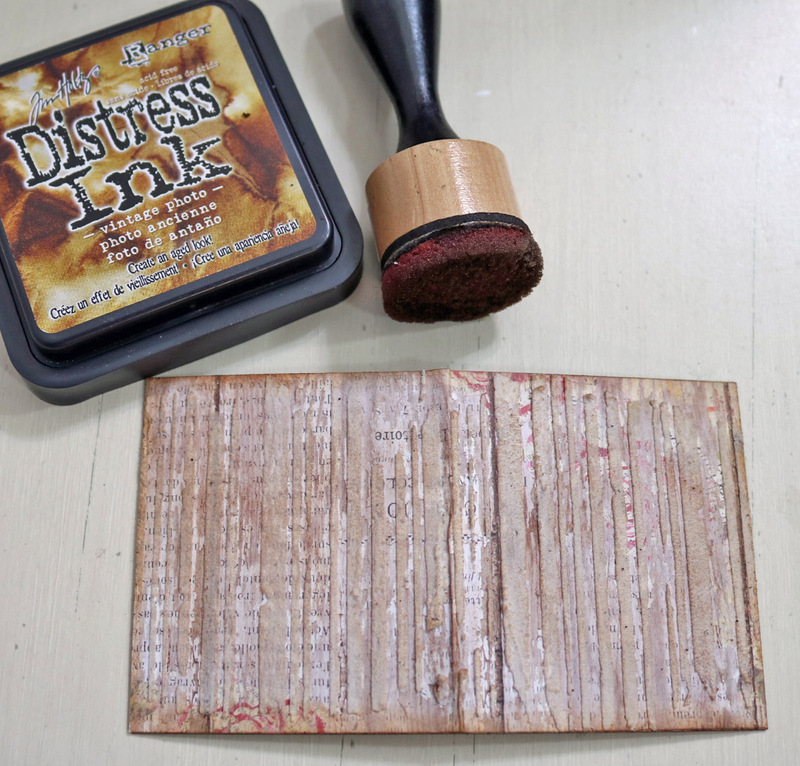 When dry, I aged them with tan distress ink. At this point I was getting into the groove of the project. Yep. I was really having fun. A blast even. In fact, I was having so much fun that I completely forgot about taking pictures. Please bear with me as I describe the next few steps without any pictures. Sorry about that. (It really was fun). 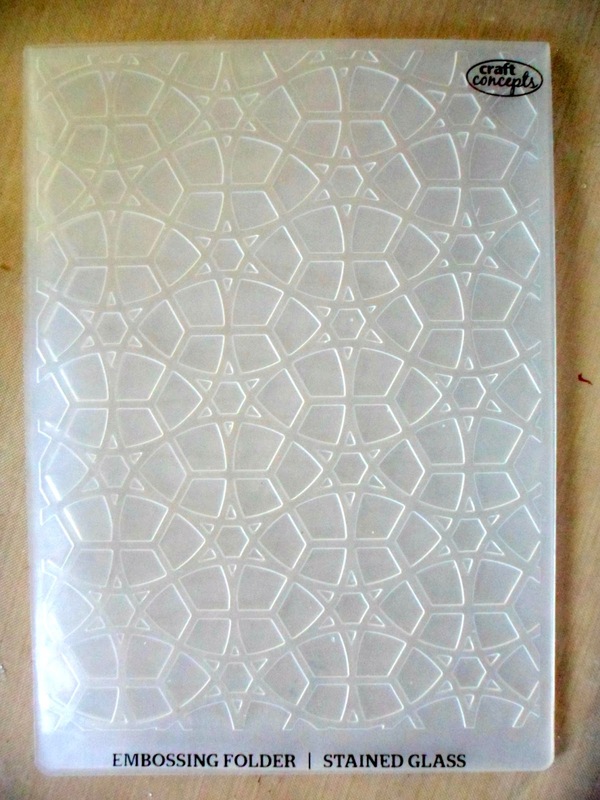 I cut a sheet of white glossy paper and used masking tape to attach a floral stencil and then added a geometric stencil to the base of the paper. 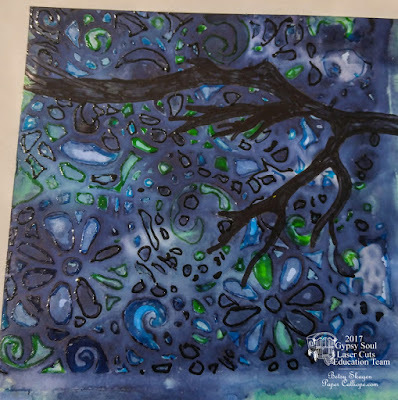 Next I dribbled alcohol ink in different shades of blue and green into the stencil holes. 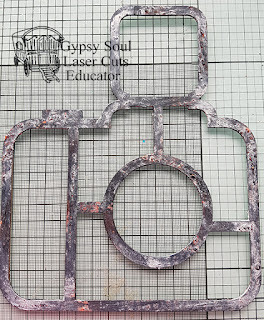 More spread under the stencil than I would have liked, but I decided not to fret about it. Besides, what could I do? After I had completely filled the stencil holes and given the alcohol ink a few minutes to dry, I removed the stencils. Because of all the bleeding when the ink went beneath the stencil, I outlined the pattern with blue, green and black gel pens. I also drew in a silhouette of a tree branch with a black Sharpie. Guess what! I finally have a picture for you! 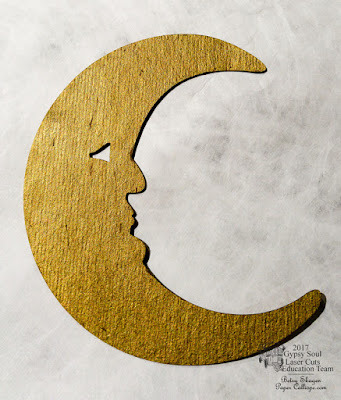 As you can see, I ran into a problem with my tree branch becoming too wide, but I didn't worry about it because I knew the moon would cover it up. 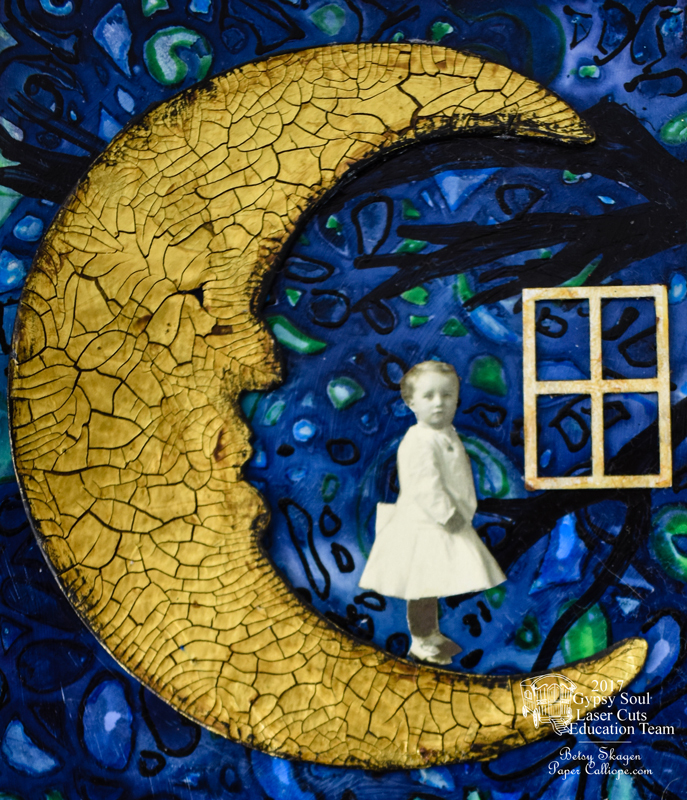 I adhered the moon, windows and vintage girl. 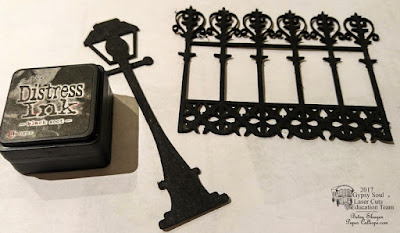 Then I used gloss gel medium to adhere the vellum quotation, fence and street lamp. I drew additional patterns over the vellum to tie the pieces together. I guess this reveals the less classy side of myself, but lately I have been having a lot of fun making snarky tags. 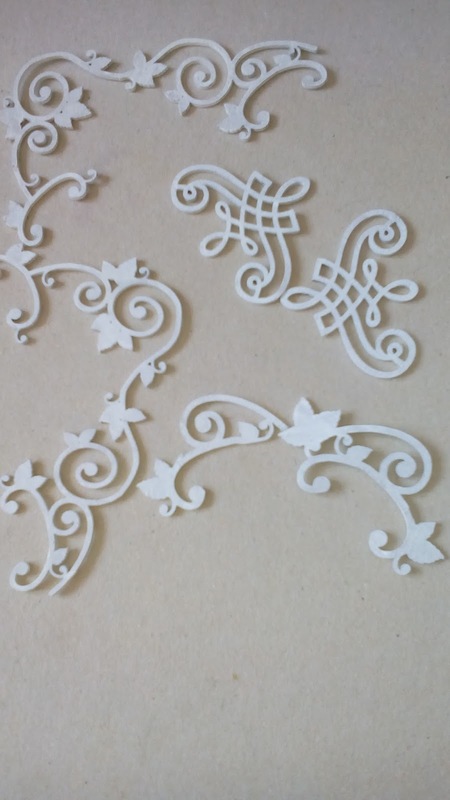 Next cover the Art Deco Border with ivory paint. After it dries, apply brown distress ink to the edges. Adhere the Art Deco Border across the top with the tiniest bit of glue possible. Make sure to center it around the tag hole. Adhere another piece on the bottom corner of the tag. Cut out the Snarky Ancestors, ink the edges with brown distress ink and adhere to the tag. Run a ribbon through the hole and either tie or glue together. That's it! Your tag is finished. 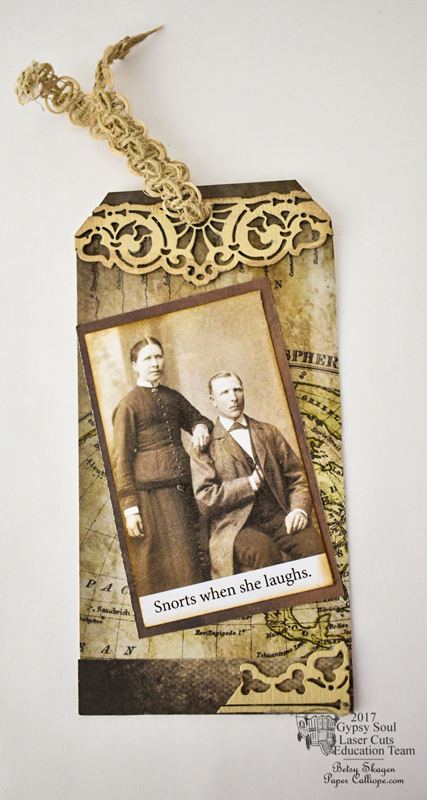 Now all you have to do is decide upon whom you want to bestow this snarkiness. Hi everyone! 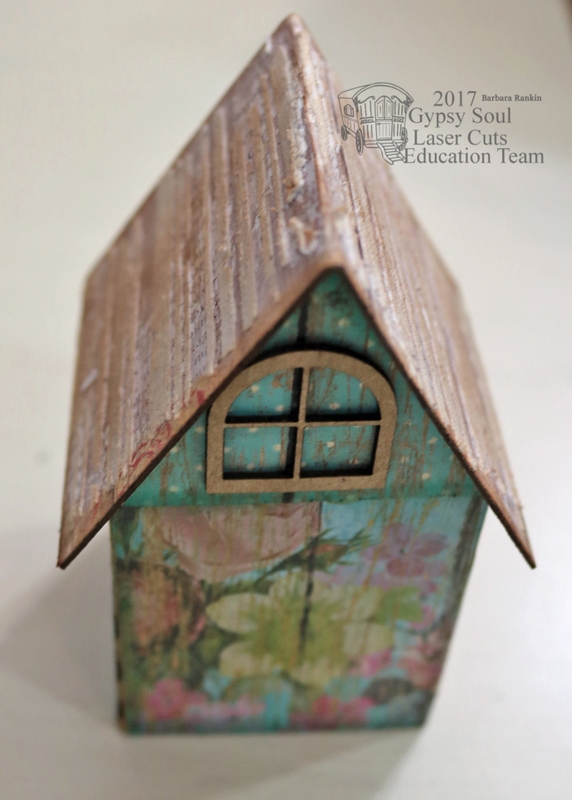 Today, I want to share a fun little Summer project using these Cabana Row Houses from Gypsy Soul Laser Cuts. 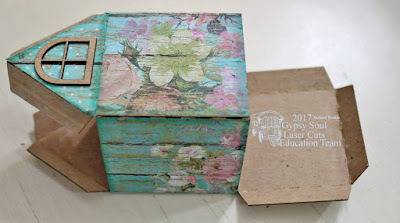 Not only would these cuties make great mixed media projects or table decorations and favors, but they would also make wonderful gift boxes since the bottom folds up, but does not have to be glued in place. Hmmmm ... think of the possibilities. I'm sure you can come up with even more ideas. When you get the set, look for the tiny alphabet letters (A through E) on each piece to match up the house with its coordinating roof piece. 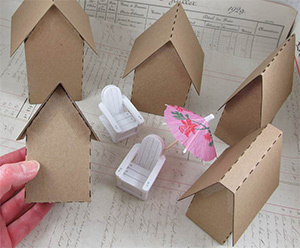 They are so simple to put together, just fold the house up and attach the roof. 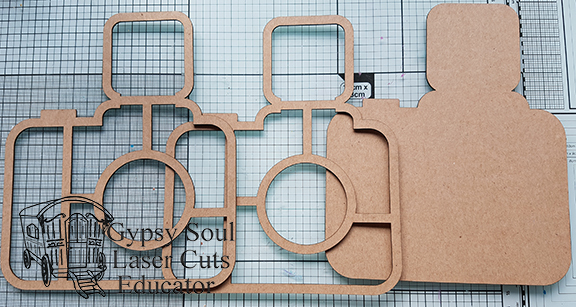 Cut one paper strip 2-3/8" x 8-1/2" and one 2-1/8" x 2-1/8" square. Cut two triangles for the eaves. I used the box itself to measure and trace the eaves onto back of paper. Run paper through Xyron sticker maker and edge paper strips with Evergreen Bough distress ink and foam blending tool. Adhere paper pieces to bottom section of house. Place red liner tape along roof and side tabs, as shown. 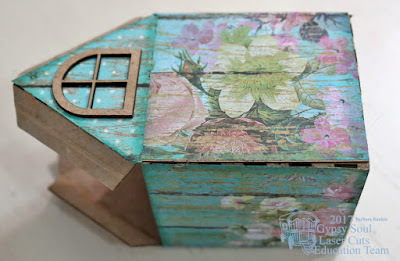 Adhere a half round window on each side of house under eaves. Set aside. 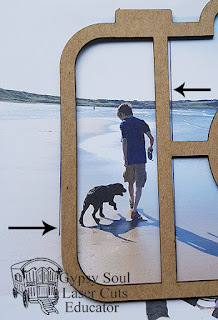 Cut a piece of print paper cut to 2-3/4" x 4-3/4". Run strip through Xyron sticker maker and edge paper with Vintage Photo distress ink. Adhere paper to roof top. 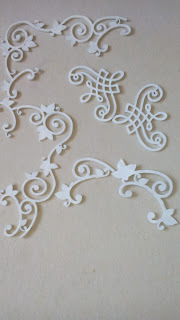 Spread a thin layer of light molding paste through stencil, let dry. 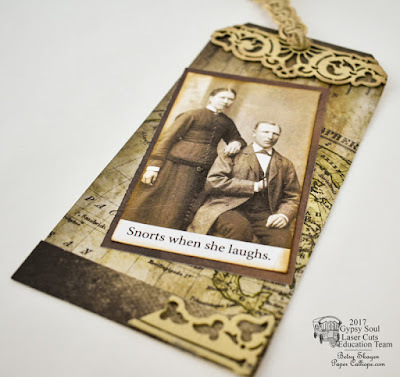 Lightly add Vintage Photo distress ink to paste with blending tool. Now back to the house. Remove red liner from taped sides. 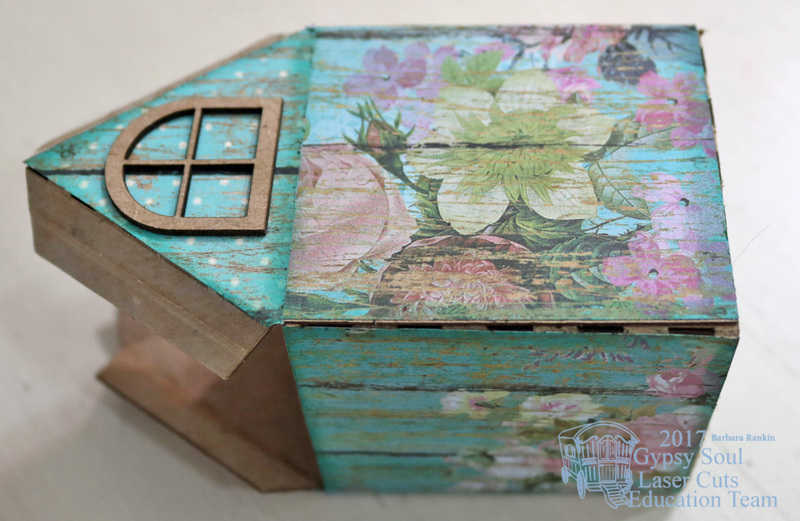 Fold side tab in and attach to side of house. Fold tabs in and close up bottom of house. You can also tape this in place if you do not plan on using the house as a gift box. Fold roof tabs in and attach roof. 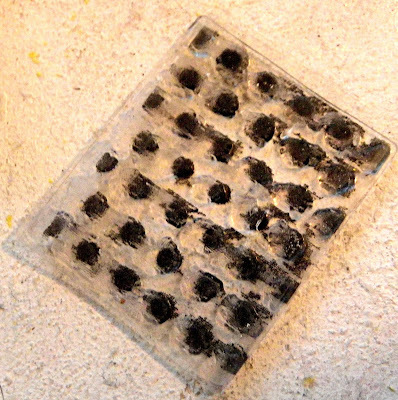 Glue two small square windows from the Seaside Doors & Windows set to the sides of the house, as shown. 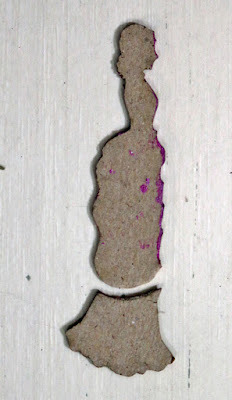 Cut bottom portion of smallest Vintage Ladies Silhouette. Glue bottom portion that was cut off back onto silhouette, but higher up. This will shorten the lady and make her size more appropriate for the size of the house. 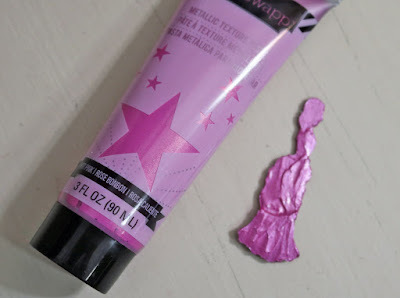 Use a spatula to apply a thick coat of Heidi Swapp Hot Pink Metallic Texture Paste to vintage lady, disguising chipboard join and swiping lines in the paste to resemble folds of fabric in her dress. 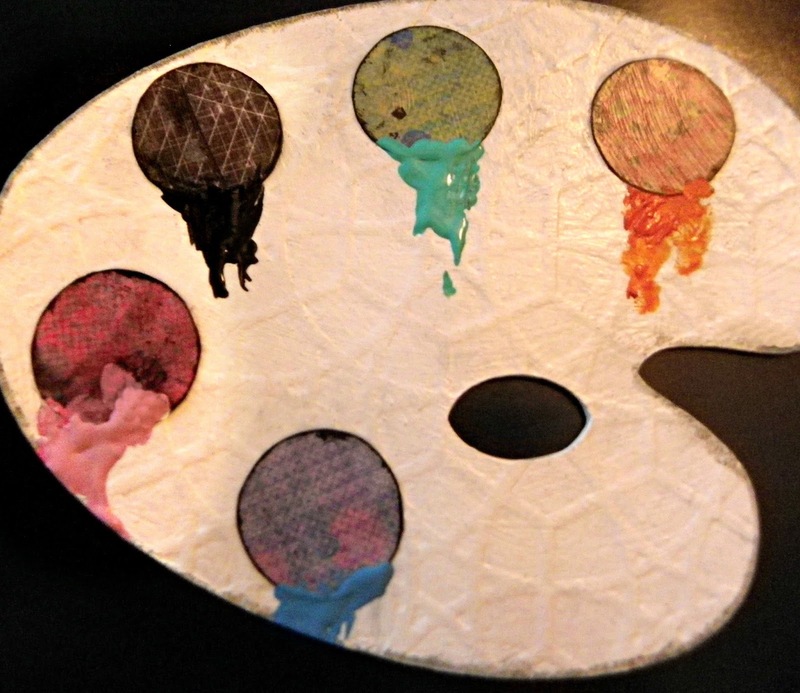 Set aside to dry. 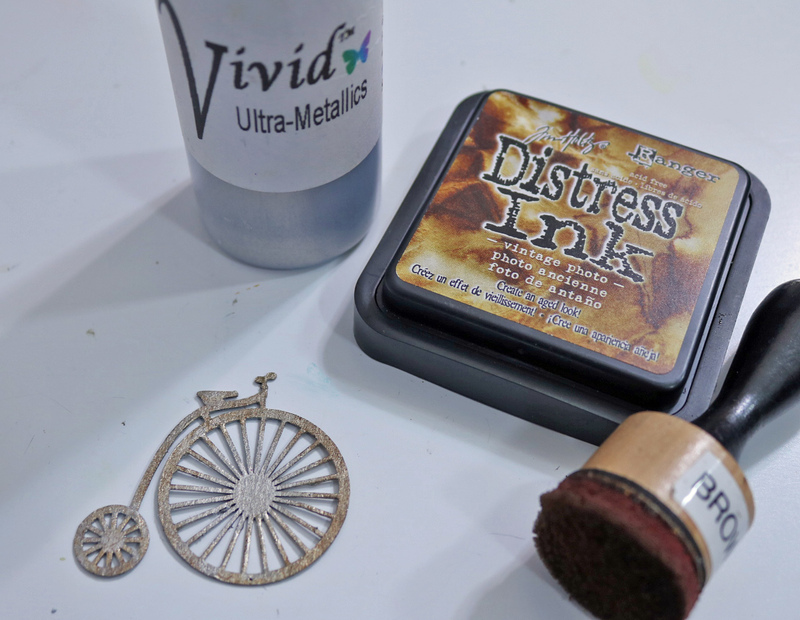 Paint both sides of the vintage bicycle with Vivid True Silver. 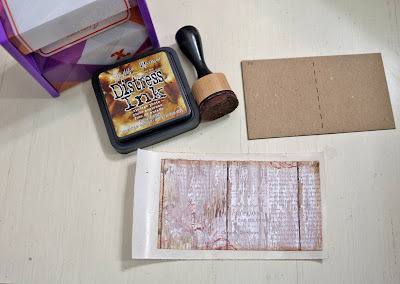 Let dry, then add Vintage Photo distress ink, which will give it a coppery look. Don't cover all of the silver, though. 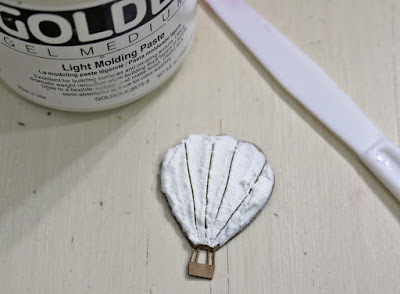 Spread light molding paste over hot air balloon and draw lines through paste, as shown. Set aside to dry. 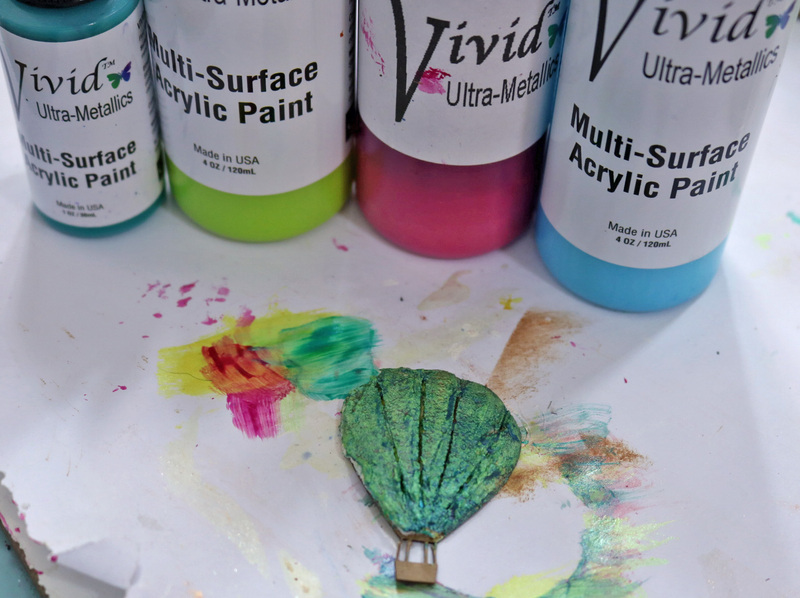 Paint balloon with Vivid Ultra Metallics, first with Lemongrass, then African Jade, then Pink Azalea, and lastly with Teal Zircon. Let dry, then lighten the color with African Jade. Cut a 5" piece of 20 gauge copper wire and adhere to back of balloon. I used a wet glue and a piece of tape. Let glue dry before handling. Turn balloon over and repeat process for opposite side, i.e., add light molding paste, draw lines through it, and color with the Vivid Ultra Metallics. 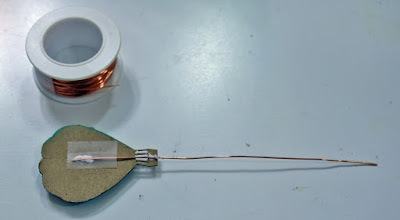 This will cover where you have added the coper wire on the back. 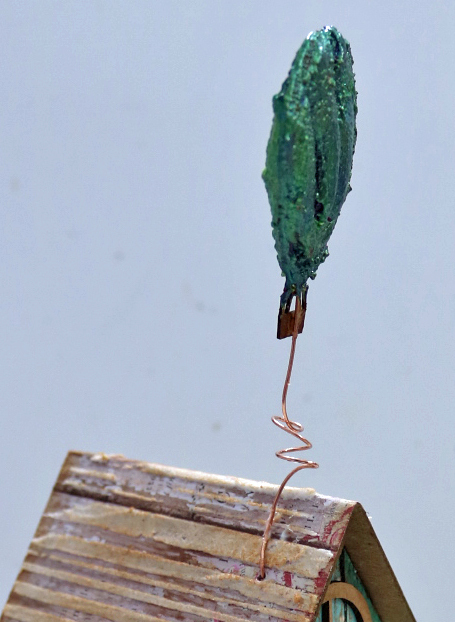 Make a little twist in the copper wire, as shown. 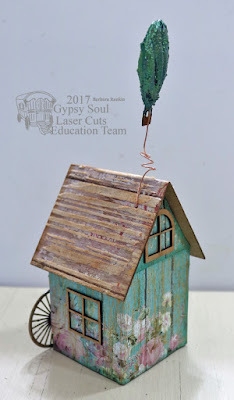 Use a paper piercer or awl to make a tiny hole in the roof top and insert wire through it. Add clear drying glue to hold in place. Adhere vintage lady to left side of house. Decorate house as you like. 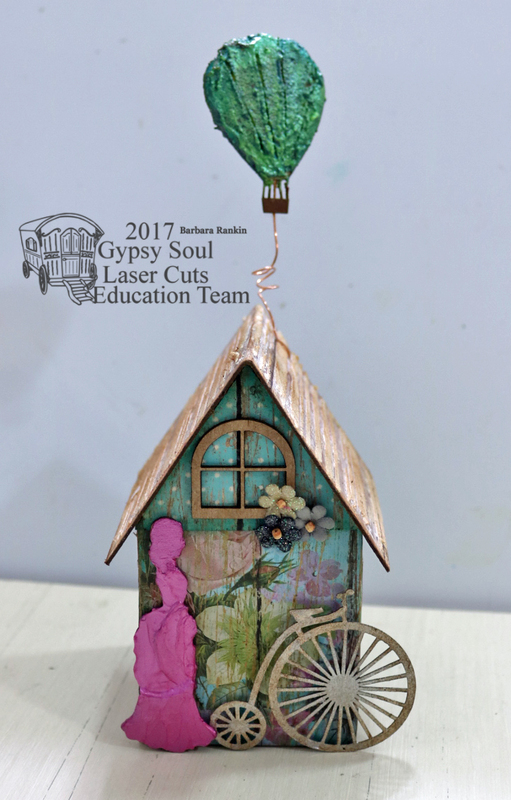 I have added some flowers just below the half round window, and adhered the vintage lady to the left, and the vintage bicycle was added to the right with a foam dot to make it look like it was propped up against the house. I hope you enjoyed my project today. Be sure to check out the fabulous laser cut chipboard from Gypsy Soul for even more ideas to decorate these Cabana Row Houses. In case you hadn't noticed . . .
Hoarders (not so) anonymous . . .